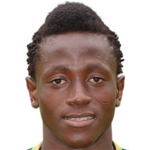 Ghana international Emmanuel Boateng is set to join Chinese side Dalian from Levante to China to play for Yifang in the on-going transfer window, according to Ghanasoccernet.com sources. Boateng, 22 is expected to leave the Spanish capital by Monday to seal a deal with the Chinese Super League side, agents close to the deal revealed. The highly-rated forward is expected to earn eight times to earn more salary times more than what he currently earns at Levante from the new deal. He has been used sporadically by Levante this season and will try his luck in the Asian country while massively improving his bank balance. With the transfer window in China closing on February 28, the Ghanaian forward is well within time to seal the deal. 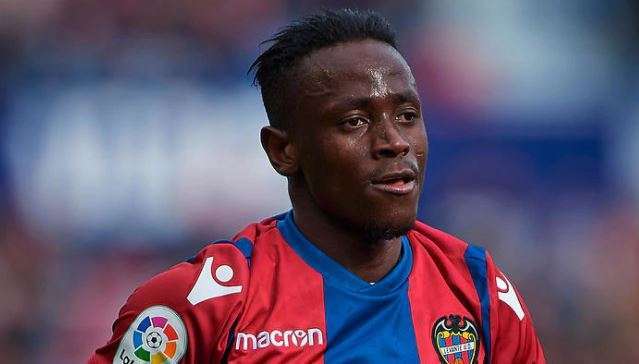 Emmanuel, who scored his first career hat-trick in Levante's 5-4 against champions Barcelona, has attracted interests from several clubs in Europe as well as Asia. Boateng has made 16 league appearances for the side so far this season. In addition, he has also played three Cup doubles scoring one goal this season. He has previously played for Rio Ave and Moreirense. He was part of the Black Satellites team, who played the 2015 FIFA U-20 World Cup in New Zealand. He scored once in the competition on 5 June 2015, in a 1–0 win against Panama. On 30 May 2018, he made his senior appearance for the Black Stars. He marked his debut with a goal when he scored a penalty in the 51st minute of the game.